12-piece Visionary Eyeshadow Palette holds a range of blendable silky smooth eyeshadow shades for all skin types. 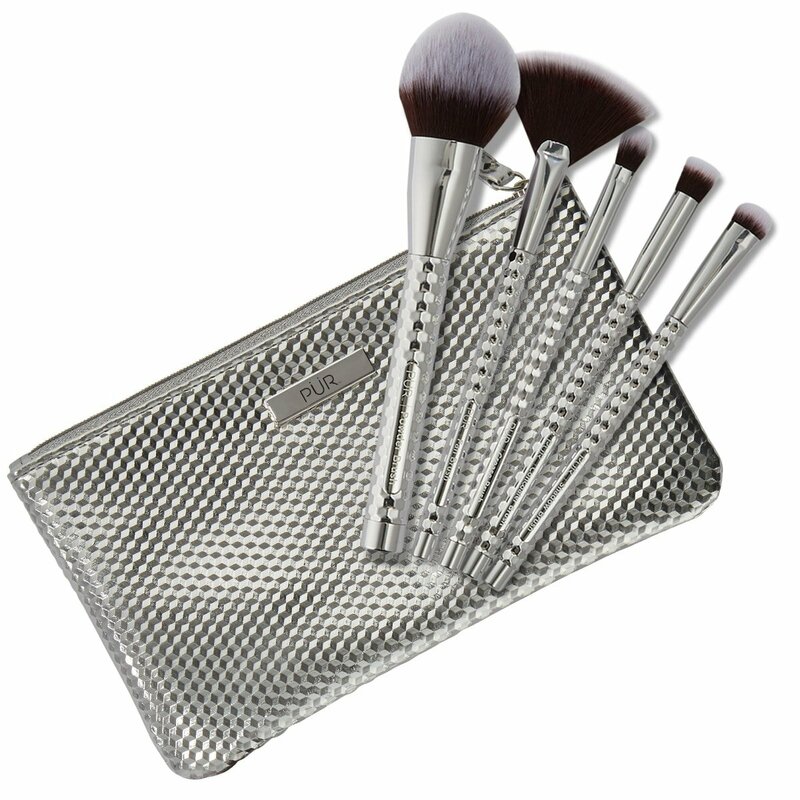 Perfect for makeup lovers. Shop now. What it is: Visionary Eyeshadow Palette that holds 12 eyeshadows ranging from matte to shimmery pastel and warm neutral shades. What it does: Rise and grind beautiful people. Be the visionary that you are and go for the goal with this carefully selected 12-piece Visionary Eyeshadow Palette that helps you keep your eye on the prize while looking your best. Formulated with a combination of ginseng, green tea and vitamin B to help boost and rejuvenate skin. A mix of mattes, metallic pastels and warm neutral shades work seamlessly together so you can spend more time on your hustle and less time on your makeup. Your daily eye makeup routine just got easier. Apply your lid color with a medium, flat shadow brush. For stronger pigment, apply with your finger to reach your desired color intensity. Apply the crease color (the darkest shade in the row) to your crease and outer corner of the eyes. Blend it well with a fluffy shadow brush, so the color transition looks natural. Apply a matte color over the Get A Grip Eyeshadow Primer to set it before applying a shimmer shade. This allows the shimmer pigment to pop to its full potential! I love the colors of this palette and would like to refill some of the colors. Does anyone know if refills are available? I’ve had this palette for under a year and I opened it yesterday and Role Model completely crumbled and fell on the floor. Upon closer inspection all the shadows are pulling away from the pans and it will only be a matter of time until they all fall out I’m sure. I NEVER drop or mistreat my palettes so it’s incredibly disappointing that they don’t even last one year! Last PUR palette I’ll invest in. This is one of the softest palettes ever. The colors are beautiful and exceptionally pigmented. It's even more beautiful in person. I love this palette. What a beautiful pallet! I use it for day and night looks. Very buttery shadows. I got so addictive to Pur I cant stop using their products. I have Multiple pallets by now. Blendable, pigmented, however, I wish they would easily blend with another. If there was a lighter brown shade it would be the perfect palette. The pink is gorgeous and so easy to work with! This palette is so beautiful. The colors apply very soft and subtle. The scheme is similar to the Natasha Denona Star palette or Anastasia Beverly Hills Modern Renaissance. Love the color on the Palette and they stay on all day I don’t need to put a lot on. I like the natural look. I absolutely LOVE these eyeshadows. They are not just stunning to look at, in the classic and elegant palette case it comes in, but they are absolutely stunning, when applied. They look almost creamy, that’s how silky smooth they are to apply to. Amazing pigmentation, you really just need to lightly press your brush once and it covers your entire eyelid! Thanks for being so awesome and living up to your prestigious high quality product expectations! it's so buttery and pigmented. i brought this eyeshadow palette on a bachelorette party and i got so many compliments and people asking what it was!! it's honestly so great for a simple look or a dramatic eye. not to mention, the removable pans make it easier to just have one shade instead of a whole palette. so much love! I love this palette! perfect for spring with a. great mix of mattes and metallic shadows. My new favorite go-to eye look is Tycoon and Girl Boss! Love it and definitely a must-have! If I were an eye shadow palette, this palette would be ME. These colors are my TONES. So pigmented and blendable. The shimmers really pop which I love. Just bought this yesterday and already the shadow is cracking and falling out, already lost the brown on the lower left so never got to try it. I think it's all just too dry so failure on the packaging if that's the case. Never had this issue with my other brand but let the sales lady talk me into it. Very disappointed but the colors are amazing!